One of the great joys of visiting our deserts is getting the chance to see firsthand the wide variety of fauna that come to life after the sun goes down. As the air and ground temperatures cool, a plethora of diverse nocturnal creatures emerge from their hiding places to search out food, water and possible mates. Many mammals, birds and insects, sedentary during the daylight hours, now awaken and fill the desert night with new sounds and sights. Our deserts are also home to a wide variety of beautiful reptiles, and for most of our cold-blooded friends nightfall is the optimal time for activity. The hot sands of the day have cooled to tolerable levels, and rodents abound to be sought out for meals. However, before activity can take place, the cooler air temperatures often require snakes and lizards to first warm their sluggish bodies. They seek out rocks still warm from the midday sun or, better yet for us as observers, the pavement of a lonely desert road. This is an added bonus for the naturalist, as it puts the fantastic variety of lizards and snakes quite literally right at our feet! Hence, we have an opportunity to enjoy the wonderful desert activity called "night driving." Night driving has had a shady reputation in past years, as many poachers have used it to strip areas of native species for profit. Park rangers and Fish & Game wardens have had their hands full enforcing the laws that now protect these timid, beautiful creatures. But as the public becomes more educated about our desert environments, we see more and more naturalists and families enjoying night driving purely as observers. It is something that families can do together, and is a terrific activity for children and adults of all ages. Some museums and tour groups offer seasonal night driving trips with trained herpetologists as guides. Guided trips are a good way to be introduced to this fascinating and exciting desert experience, but it isn't necessary. Night driving, when done properly, is easy, safe, fun and a rewarding nature experience for everyone! An enormous variety of nocturnal life awaits you, andyou will be rewarded with new species and subspecies in each new location. Kingsnakes, milksnakes, gopher snakes, lyre snakes, coral snakes, rattlesnakes and rosy boas are just a few of the snake varieties you might see. And in each desert there are beautiful species and subspecies – each quite different from the last! The same goes for lizards. A real plus while night driving is the occasional sighting of other forms of wildlife as well! Coyotes, skunks, bobcats, tarantulas, scorpions, centipedes, peccaries, kangaroo rats, jack rabbits, owls and nightjars are just a few of the many animals you might be lucky enough to spot. To get the most from your outing, there are a few guidelines and precautions to follow. Remember, we are there to observe only, and care should be taken never to disturb an animal in any way. And of course, safety must remain a top priority. A good strong flashlight - If possible, each person should have his or her own flashlight. It is more fun for each participant, but it is also safer when getting out of the car at night for each person to have their own. Always remember to carry extra batteries. A field guide to western reptiles - The Stebbins Guide is an excellent one, as it has detailed illustrations and covers all species found in the west. But there are a number of other good ones available. Also, most parks have pamphlets that describe the different species you might see. Jacket, boots and long pants - Although night driving is most rewarding after warmer weather sets in, desert nights can still become cold quickly without warning, and you could be miserable without a jacket. Also, boots and long pants are insurance against a number of desert hazards. Water - Always carry extra water in your car in the desert. Last but not least, a reliable car! Always have at least two people in the car for night driving. Besides the obvious safety factor of not being alone in the middle of nowhere, the driver needs to pay attention to driving and not to looking for reptiles. Leave the spotting to the passengers. The more eyes looking, the better, and it makes it more fun too! NEVER night drive on a main highway with high-speed traffic. Choose quiet, out-of-the-way, little-used side roads for your night driving where you will not be obstructing any traffic or becoming a hazard to other drivers. These little roads are not difficult to find in our deserts. Take a dry run during the daylight hours so you know exactly where you will be going. Look for empty roads that are virtually traffic-free. You will be driving slowly and there are plenty of lonely roads in the desert where you can do this safely. Smooth dirt roads are also good, but it is easier to see reptiles on pavement. Use your high beams when possible. The brights of your headlights give a great view of the road ahead, and you can spot a snake or lizard easily. Set the car in low gear and cruise at about 15 to 20 MPH. Of course, follow the rules of the road. Pull over and let any other cars pass. When you spot a reptile, pull over onto the shoulder of the road and turn on your flashers. Flashers will alert any other vehicles that you are parked on the side of the road. Leave your headlights on as well. You may want to get out of the car to get a close up view and take pictures. Use good judgment on where it is safe to night drive and when it is safe to park and get out of the car. Sticks in the road. Snakes look a lot like sticks at first. In the beginning, you will find yourself stopping for every stick you see, but with practice you will learn that particular snake look, that is unique only to them. You will undoubtedly stop for a variety of odds and ends, including bicycle inner tubes, pieces of hose, fan belts and other goofy things. It is fun to write down in your log all the things you thought were snakes but weren't. Movement in the road. Movement is the first obvious clue that there is an animal in the road. But snakes and lizards are often just lying there absorbing heat, so there may be no movement whatsoever. Learn the visual difference between rattlesnakes and harmless snakes. Unless you are very knowledgeable about reptiles and are familiar with them, do not get out of the car to go look at a rattlesnake. Although they are actually quite shy and generally strike only when provoked or startled, a novice should enjoy looking at them only from the car. You can drive right up to the snake and everyone can enjoy looking at it safely out the car window with the flashlight. You can even take some great pictures! 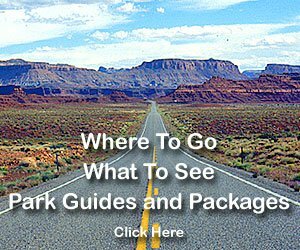 With a little experience, you will learn to spot rattlesnakes and harmless snakes easily. 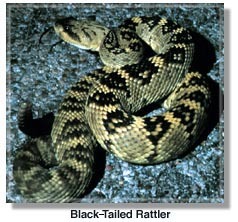 Sidewinders are quite obvious, but rattlesnakes in general have a look about them that you will learn. It is not always easy to see rattles on the tail, or the triangular head that rattlesnakes exhibit, especially at night, so if you are in question don't take chances. All snakes can be viewed without getting out of the car. With time, you will know when you are in the company of a harmless snake and can enjoy getting out and seeing it up close. Although at first you might be disappointed if all you see are rattlesnakes, by using your field guide you may find you have spotted more than one species. We spotted six species of rattlesnakes in one night in southern Arizona once, including the rare and illusive massasagua! Spotting Lizards and Geckos - Lizards and geckos can move very quickly, and often do so in short spurts. There are many beautiful varieties in all of our deserts! Geckos are easy to approach, and you can get some great pictures. DOR -- Dead on the Road - Unfortunately, reptiles often become victims of automobiles, and you will see plenty of snakes and lizards that are DOR, or dead on the road. Sadly, some of the most rare reptiles we have spotted have been the ones hit by cars. Generally from April through October. The best time of year to night drive is after the cold weather of winter has passed and the warmer days have set in. Good night driving can continue through October, depending on the weather. Avoid nights with a full moon. No moon at all is the very best, but don't let a quarter or half moon get in your way. The bright light of the full moon causes reptiles to retreat, and very little is usually seen on full moon nights. Wait until it is truly dark. Although some species are out at dusk, sightings become more frequent the darker it gets. After a summer rain. After a rainstorm during the monsoon season (late summer) can be especially good for seeing a wide variety of species. If you night drive at this time of year, be aware of flash flood areas and roads that may be washed out. Check with the local rangers or sheriffs for road conditions, and stay current on weather predictions. Do not head out if it looks like a storm is brewing. Driving at night under such conditions can be very dangerous. The weather conditions, ie clear night, cloudy night, after a rainstorm, hot night, warm night, etc. Any information on size, coloring, distinctive markings, etc. By logging these observations, you should begin to see a pattern develop which will help you to know where and when the good times and places are to night drive. But new roads in new places are always exciting and will afford you a variety of sightings that are as thrilling as any wilderness experience. Night driving will open up the beautiful world of reptiles to you and your family. These animals are brilliant in their colorful patterns and fascinating in their behavior. Night driving is addictively fun, and along with taking many great pictures, you will also make many great memories through the years. The living desert floor is just waiting for you to discover its secrets. Whether watching your child's delight at spotting a unique and special form of wildlife or knowing the excitement of identifying a species yourself, night driving is both educational and great entertainment for the whole family! And don't forget to log the inner tube and fanbelt sightings!! Do not in any way disturb the animals. You are there as an observer only. NEVER poke or prod an animal, and make no attempt to catch it. To do so can harm the animal and might cause you to sustain a bite or a sting. It is also against the law in most places and carries heavy penalties and fines, as these animals are generally protected. Do not carry lizard nooses, snake sticks, small cages or snake bags. Only people with a license for collecting should be carrying such equipment. As a naturalist observer, you will never need these items. Poaching is a serious offense, and collecting of any kind is absolutely illegal in state and national parks. Always carry plenty of water, extra snacks, a shovel and a blanket. This is true for any activity in the desert. Do not get close to any snake you cannot readily identify as non-venomous. 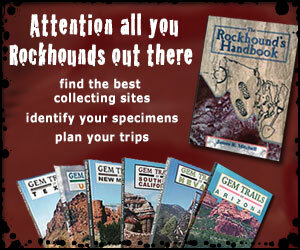 Become familiar with your field guide and the look of different reptiles in your area before you head out. You will have a lot more fun if you can identify what you are looking at. Know how the book is laid out so you can flip to the right section easily. Always let someone know where you are going and when you expect to return.